Details: Colin sent me this picture and asked if this was a former service vehicle. It certainly carries more-or-less the right livery. 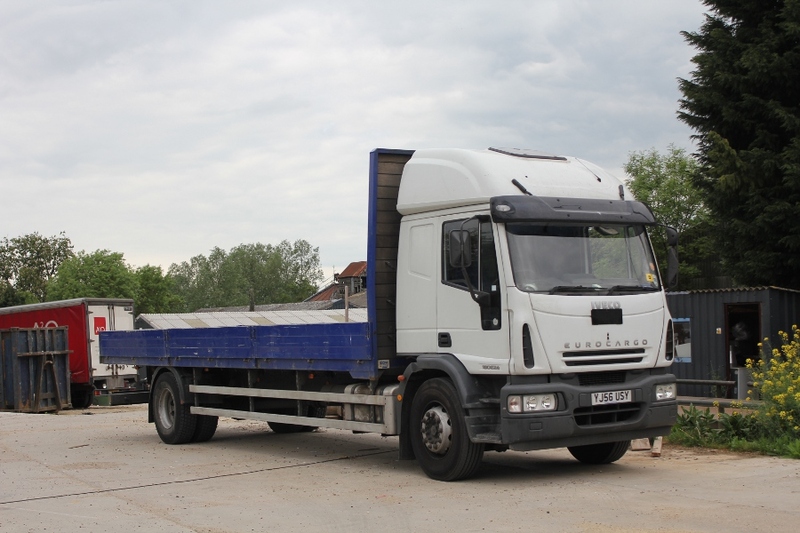 It turns out that Iveco EuroCargo dropside truck YJ56USY was in fact hired by Tube Lines in summer 2007 and it lasted for almost a year, working from the lorry yard at Acton. The lorry was notable for having a sleeper extension atop the cab, and a very tall headboard on the body. It was photographed parked in Ongar on 11th May 2011.